A year ago almost to the day I wrote a blog about the appointment of David Moyes as manager of Manchester United. Managerial succession in any organization is notoriously tricky and I was reminded of an old theory based on the novel Rebecca. When a departing leader is widely admired, respected and even idolized — as Sir Alex Ferguson was — the immediate successor faces invisible obstacles: the people under his management often resist the new person’s attempts to introduce a new order because they remain in the thrall of the old leader. I speculated on how Moyes might struggle with the “Rebecca myth.” Now it seems, after less than 12 months, Rebecca has cursed Moyes. Sir Alex’s presence remains at Old Trafford — even when he isn’t there. Below I’ll re-post the blog from 1 May 2013. In succeeding Sir Alex Ferguson, David Moyes faces sport’s equivalent of what the sociologist Alvin Gouldner once called the “Rebecca Myth,” after Daphne du Maurier’s famous novel. In the book Rebecca and Alfred Hitchcock’s 1940 film of the same name, a young woman marries an English aristocrat, but, after moving into his mansion, meets an unfriendly housekeeper, Mrs. Danvers, who idolizes the late mistress of the mansion, Rebecca. Entranced by the thought of the dead Rebecca, Mrs. Danvers makes her new mistress’s life a misery. In his Wildcat Strike: A study in worker-management relations, Gouldner transposed this theme to an industrial setting and showed how the succession of personnel in senior positions was impeded by the expectations of colleagues. “The successor may fail to show the old lieutenants proper deference, willfully or through ignorance of their expectations, but in either event making them dissatisfied,” writes Gouldner. They resisted the new boss as a “legitimate heir” to the position once held by someone they knew and trusted and withheld legitimacy unless he conformed to their ideal (Gouldner’s study was an all-male affair). The Rebecca Myth has obvious applications to players’ responses to a newly-appointed coach or manager because they have what Robert Putnam calls a “subliminal perception.” Consciously or unconsciously, they desire to appoint someone who resembles a past manager/coach, who has brought success to their organization. 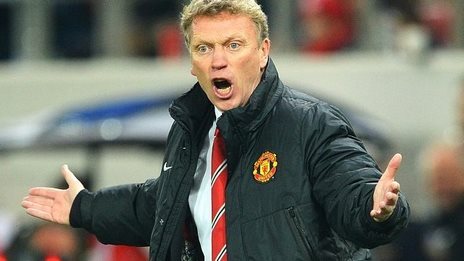 The Manchester United owners have clearly appointed the manager who most closely resembles the outgoing Sir Alex. A flinty, unyielding Scotsman, Moyes seems to approximate the Ferguson template. His problem is simple: he is not Sir Alex. United players may not like Ferguson, but they respect him — his methods, his attitudes, even his idiosyncrasies (of which there are probably many). Moyes will meet the same kind of resistance from everyone at Old Trafford, from the players to the tea ladies — they have all become accustomed to the irascible Ferguson and all will have expectations that Moyes can’t possibly meet. Ferguson may depart, but his ghost, like Rebecca’s will remain. This entry was posted in Uncategorized on May 1, 2013 by tth1.